Even if the Park includes a natural territory of great naturalistic value, it presents very different landscapes, values, and situations. The visitors can therefore carry out interesting naturalistic-historical guided excursions at the discovery of the four main sections into which the protected area is divided, that is: the slope of the Alto Nera and of its "guaite", the slope covered with flowers, the magic slope, and the sacred slope. 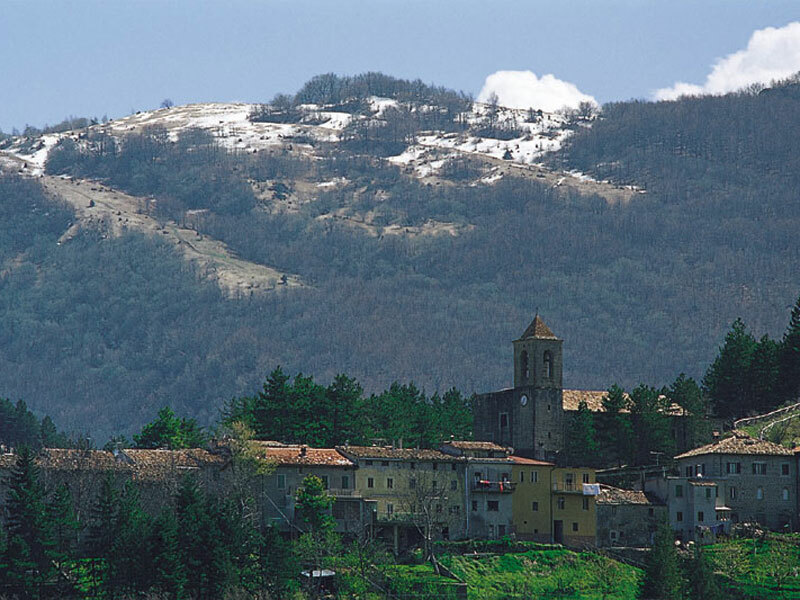 The Alto Nera slope and its "Guaite"
Tradition wants that Visso, which houses today the National Park's seat, was founded 907 years before the Roman period, and that from its recognition as a free Town up to the Napoleonic invasion was divided into five districts called "Guaite", among which Castelsantangelo and Ussita. It is a territory rich in castles and look-out towers characterizing still today the structure of numerous villages built by the local population to defend themselves by the Saracen raids. From a naturalistic point of view, the Gole della Valnerina dug by the impetuous river Nera are interesting and can be traveled over by car. Mt. 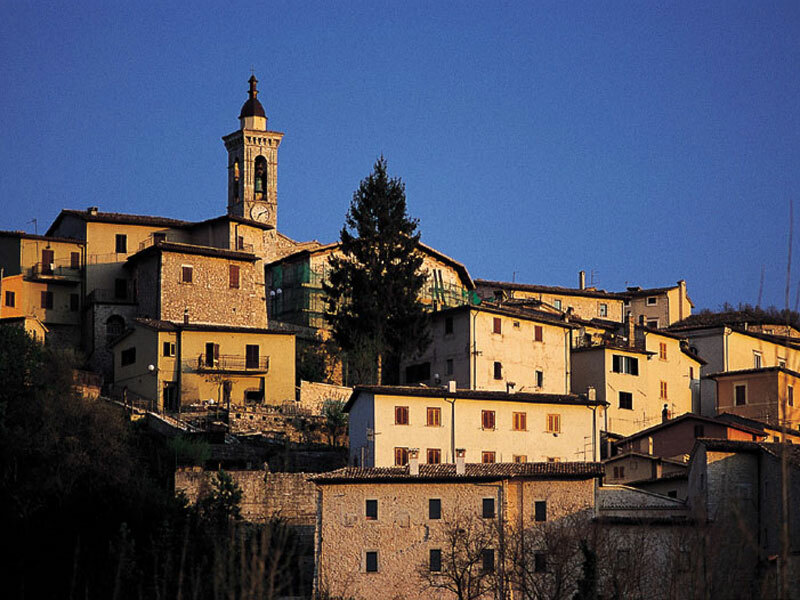 Bove, with its Dolomitic aspect, houses all the vegetable species of high altitudes which are typical of the Sibillini mountains. On this slope we find the Municipalities of: Castelsantangelo sul N., Pievebovigliana, Pieve Torina, Ussita, Visso. It includes the northern area of the Park with the Ragnolo meadows, where during the summer you can admire wonderful orchid and lily blooming, and other interesting species like the Orsini fritillary, the narcissus, and the Alpine aster. In the valley of the Fiastrone, an impressive "Forra" dug by the waters, you can find the "Grotta dei Frati", an ancient and suggestive hermitage of the Claren monks dating back to 1000 AD. By following the river up to the Lake of Fiastra, in which the surrounding summits reflect themselves, you can reach the suggestive valley of the Acquasanta with its beautiful waterfalls, and the Grotta dell'Orso, a place name witnessing the past presence of this species also in the Sibillini mountains. 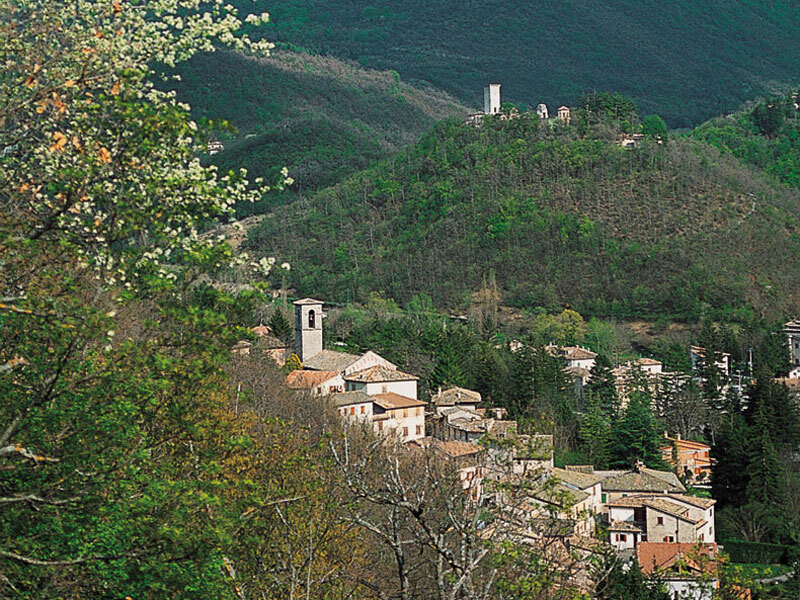 On this slope we find the Municipalities of: Acquacanina, Bolognola, Cessapalombo, Fiastra, Fiordimonte, San Ginesio. 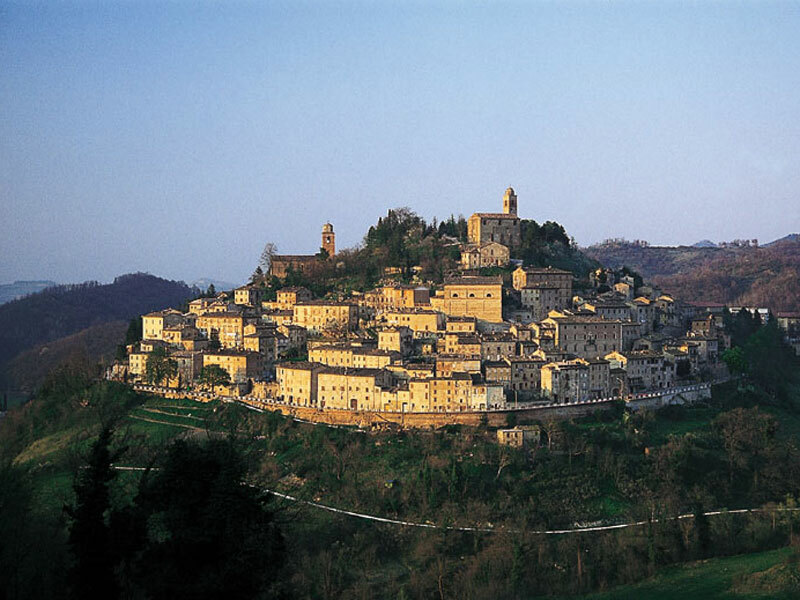 During the Middle Ages, the Sibillini mountains were known in Europe as a realm of demons, necromancers, and fairies. Among the many legends, the most famous deal with the existence of the "Sibilla", the "illustrious prophetess" living in a cave on the homonymous mountain, and of Pilato, according to which the dead body of the Roman procurator was dragged by some buffaloes in the red waters of the "devilish" lake in the high valley going through the massif of Mt. Vettore. Not very far from there, you find the Gola dell'Infernaccio, where the memories of old wizard rituals and the suggestive examples of the erosion activity of the river Tenna on the limestone of the area are still alive. You can find wonderful high trunk beech tree woods, with some rare species like the edelweiss and the gentian. It is also possible to see the wolf, the goshawk, and the golden eagle. 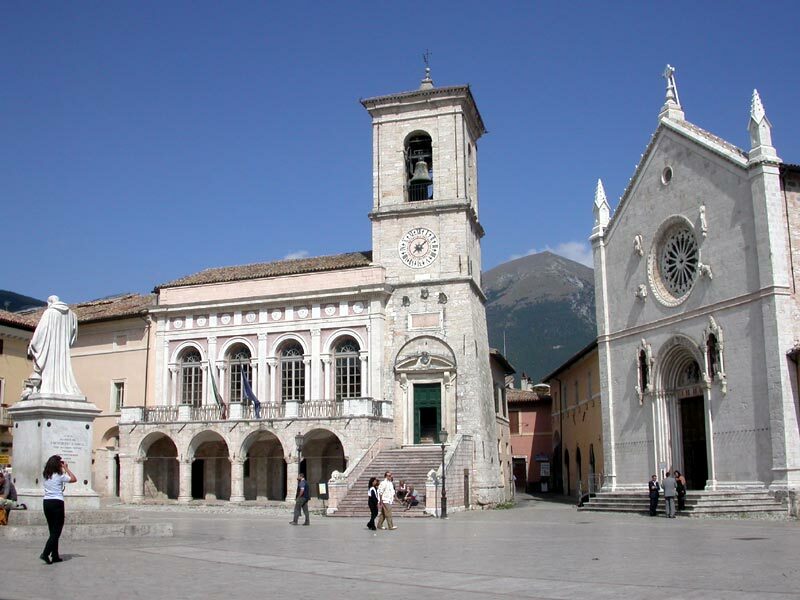 Norcia is the heart of this important section of the Park and the home of the patron of Europe, St. Benedetto. The town is famous for its charming historical center, the square with the church dedicated to the Saint (14th-18th centuries), the Dome (18th century), and other interesting historical buildings. Many excursions leave from here, like the one leading to the water meadows (the so-called "marcite") in Piani di Castelluccio, the original irrigation system existing since the time of the Benedictine Monks. 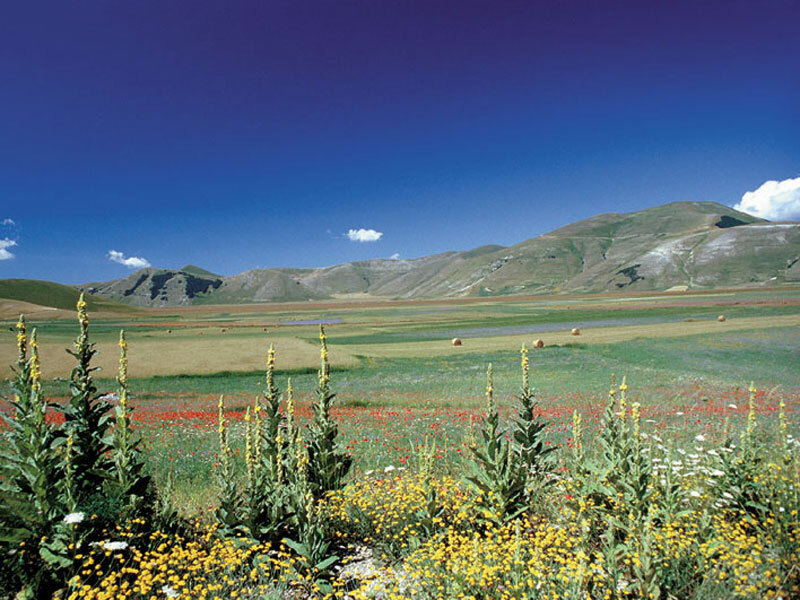 The meadows are made up of two wide original karst plains in the middle of which lies the town of Castelluccio. 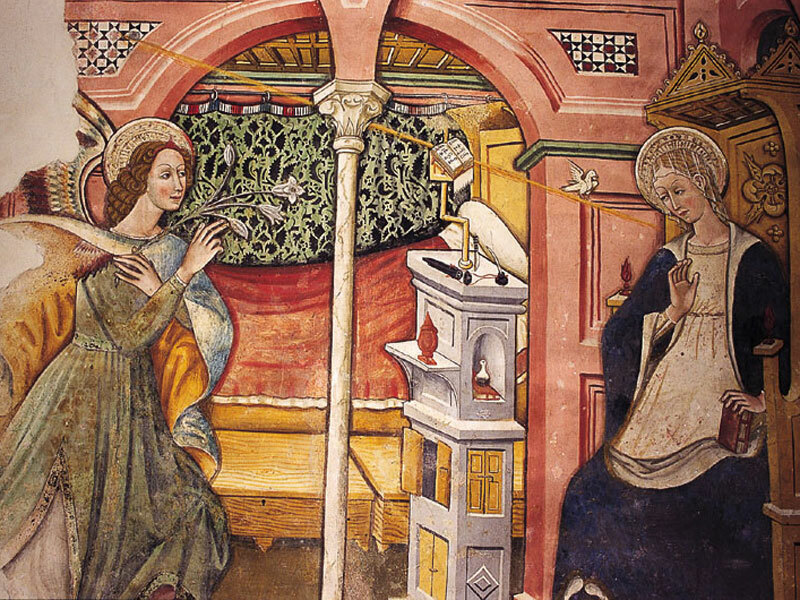 There is also the one leading to the Abbey of St. Eutizio (18), founded at the end of the 5th century, which became famous thanks to the monks' ability to heal with precious and medicinal herbs gathered on the Sibillini mountains. On this slope we find the Municipalities of Norcia and Preci. The origin of some of the settlements in the Park depends on the role played since prehistorical times by the people who passed through these places because of work (transhumance), religion (pilgrimages), and power (wars). 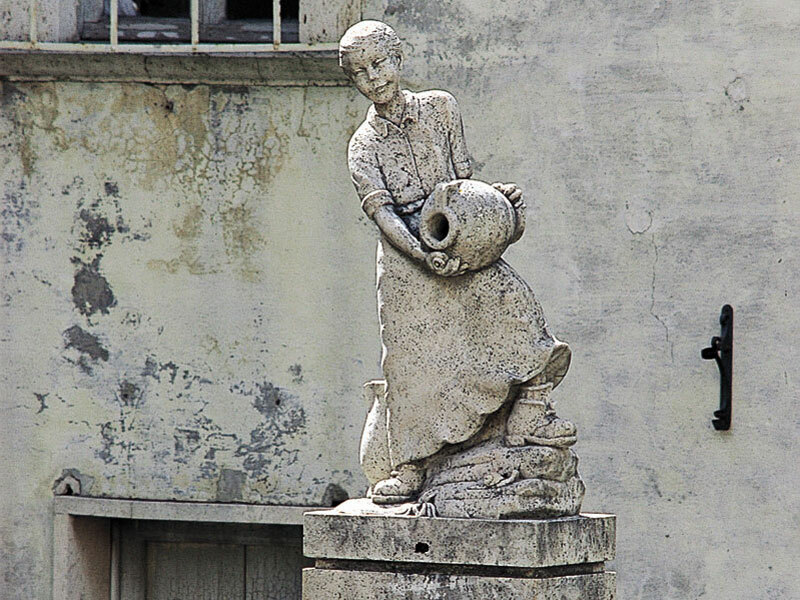 There are several evidences of the populations who inhabited this territory even before the foundation of Rome and who left the precious signs of their culture. However, the most evident mark is the medieval one, as the urbanistic structure of most Towns of the Park witnesses. Compact, sober, and isolated, many settlements organized in that period within fortified walls with towers and entrances situated around the most important buildings of the town, like the church, the noble palace, and the square. The people living in isolated areas used to build real "fortress houses": as a matter of fact, there are several examples of house-towers, nuclei surrounded with walls, and villas. An interesting key to reconstruct the history of the people who inhabited the area in the past is given by the widespread presence of religious buildings in the Park. This extremely charming territory has always been an ideal place both for religious communities who created here important centers of ascetic life like abbeys and monasteries, and for the hermits who found on the high summits or in the ravines isolation for their meditation and the mountains for company. Moreover, several small centers have been places of spirituality and at the same time essential points from where traditions, religion, arts and professions widespread. A representative example is the Abbey of Sant'Eutizio, in Preci, where the Surgical School developed and spread throughout Europe from the 16th century. 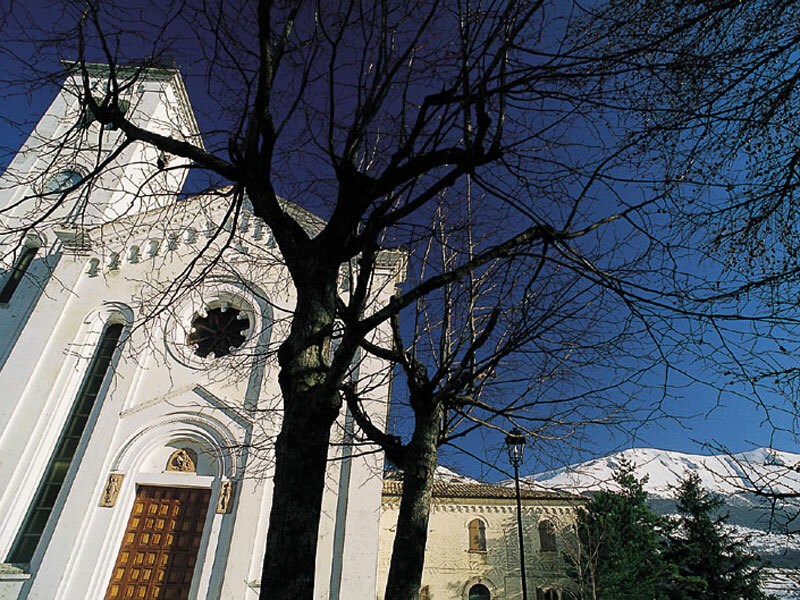 From the many Romanesque churches to the imposing Sanctuary of Macereto, to the Basilica di San Benedetto, build on the rests of the house where the Saint was born, in the territory of the Park you can discover an extraordinary cultural heritage which gives the possibility to revive history and to retrace the thick net of paths along which Saints, monks, and humble pilgrims went through.